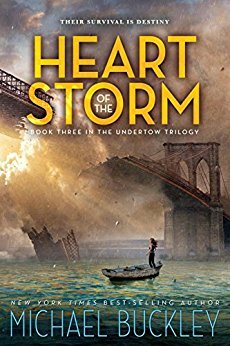 This week's Book Giveaway is Michael Buckley's Heart of the Storm, the final book in his Undertow trilogy. I've never fallen as deeply in love with this series as I did with Buckley's Sisters Grimm stories, but these books are plenty fun in their own right. A full review will follow shortly.